Cook has considerable experience at Apple and in the technology industry as a whole. 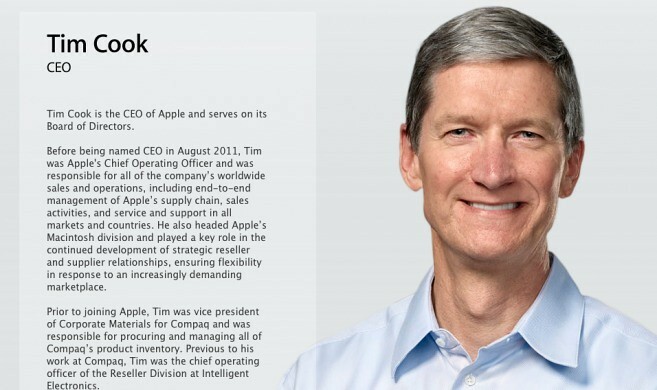 Having joined the company in 1998 (after working at IBM for 12+ years) as Senior Vice President of Worldwide Operations, Cook’s work ethic and dedication eventually leaked over to the Macintosh division in 2004, and ultimately landed him in a role as COO where he has been since 2007. Cook is also said to have filled in for many of the key, day-to-day tasks that Jobs (who was recently on medical leave) would have otherwise performed, giving him not only experience at Apple, but also over a years combined experience as CEO.